Bluebella Sale increase from up to 50% > up to 70% off Lingerie and Nightwear! Bluebella Exclusive 40% Off Pandora Red! Bluebella after success with Nova red would like to offer all our affiliates promotion on our New In Pandora Red with code PANDORA - 40% off, we are looking forward to work with you. Free Standard Delivery offer in United Kingdom. Bluebella Christmas seasons approaching with up to 50% off Christmas Sale on 22nd December. Do not miss the opportunity! Bluebella has uploaded and selected bestsellers for our new banners please check our creative section. We are offering 40% off Pandora red set with code PANDORA, exclusive to our affiliates. Increased commission for the same period too, from 10% to 12% commission. The commission has been scheduled for all publishers on standards rate. © COPYRIGHT BLUEBELLA LIMITED, 2016. BLUEBELLA® IS A REGISTERED TRADEMARK OF BLUEBELLA LTD. REGISTERED COMPANY 5566892. Check the new Creative area for new banners which are available in many different dimensions. We are able to produce more banners on request just drop us a message via AWin or email filip@bluebella.com who will be able to help. The banners are available in more dimension in our creative area. Also if you require specific size of a banner please do not hesitate to contact filip@bluebella.com who will create required creatives. Please remember to replace !!!id!!! with your own ID ! Celebrate Bank Holiday With 20% Off ALL Bluebella products! Offer only available to our amazing publishers 20% off discount code on all Bluebella products. Please check our promotion and banners section for creatives and details. Offer available until 31st of August. Remember to replace !!!id!!! with your own to track the transaction and have commission granted. Bluebella has some amazing banner in our creative sections too which are free to use with different dimension. We are able to create any unique banner for you if you require one, please just email us and we will deal with your request. Much more banners available in Bluebella image library just check our banner section on our profile. © COPYRIGHT BLUEBELLA LIMITED, 2015. BLUEBELLAÂŽ IS A REGISTERED TRADEMARK OF BLUEBELLA LTD. REGISTERED COMPANY 5566892. 25% off Julianna Collection at Bluebella! Bluebella Easter Sale End / New Sale Announced up to 70% off! Easter Sale is Ending on 10th of April on Sunday, however will be replaced by sale in outlet! Bluebella Sale Of Up To 70% On Selected Products And Great Gif Banners For Our Publishers. Please replace Easter Sale banners with just a 'Sale' banners which are also up to 70% and will last until end of May! If you might need any other banner sizes please do let us know. Check our promotion banner tab for more banners! Easter Sale will end on the 10th of April on Sunday - Replace Easter Sale with Sale banners which are also up to 70% off. Hosiery Promotion of 20% off the introductory offer will end on 12th of April. Follow the link to our profile we are looking forward to approving new publishers, Bluebella offers 8% commission inc VAT. Bluebella Further Easter Sale Markdowns Up to 70%! 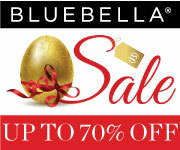 Bluebella Further Markdowns up to 70% off the Easter Sale! GIF and Standard Banners available right now with 70% off sale! Bluebella 25% Off Selena and Estelle Weekly Promotion! We are glad to announce yet another weekly promotion of 25% off this time of 3 products Selena Body; Selena Bra and Brief set and Estelle Body. We have banners ready for your use and deeplinks seen below. Modern, comfy and effortlessly cool - this season's sports luxe trend is encapsulated in the Selena Body. With racer back detail and provocative sheer blush fabric, the simplicity of this all-in-one allows for everyday wear. 125x125; 150x125; 160x600; 180x150; 250x250; 300x250; 300x600; 468x60; 600x600; 700x300; 728x90; 120x600. Estelle is an effortlessly empowering body that will make a statement as underwear or outerwear. Sheer stretch mesh trimmed with bold satin edging is provocatively styled with a dangerously plunging 'V' neckline and elegantly finished at the back with satin ties. Red Nova promotion of 25% OFF will end tonight at 11:59pm. Remember to replace Red Nova promotion with the new Selena and Estelle 25% Off Promotion. Bluebella 25% Off Weekly Promotion! Bluebella new 25% off starting today! From Friday 4th March to 11th Match midnight there will be a promotion of 25% off the Nova Red Collection! The banners for Red Nova promotion are available on AWin right now see the examples below. 125x125; 150x125; 160x600; 180x150; 250x250; 300x250; 300x600; 468x60; 600x600; 700x300; 728x90; 930x650; 120x600. EMEMBER to add you own PUBLISHER ID to the DEEPLINK. Darcy 25% Off last promotion has been expired and the banners has been switched off or replaced by plain banner of Darcy. Remember to take out outdated promotion banner. Competition from Bluebella WIN THE ENTIRE MORE COLLECTION! WIN THE ENTIRE MORE COLLECTION! Bluebella is running great competition offer whole MORE collection which consists of 5 lingerie sets worth around £500+. REMEMBER to add you own PUBLISHER ID to the DEEPLINK. Bluebella live and upcoming promotion of great 25% Off. Please use the banners and links supplied. As we launched MORE collection we also give a 15% off introductory promotion! Discount valid until end of February. "Contemporary styling, supportive design elements, fabulously flattering fit - say hello to MORE. Everything you longed for in a 32 - 38 DD - G collection"
Check our creatives section if you are our publisher if not join us now! Join Bluebella as a publisher our id is 6756! Or follow the link to our profile we are looking forward to approving new publishers do not miss Valentines period for great profits with Bluebella 8% commission. Bluebella had really great review from bloggers who are mentioned on our blog and social media as well as offered to join Affiliate Window. If you would be of any interest in joining Bluebella affiliate network as a blogger we would be happy to have you on board with us. 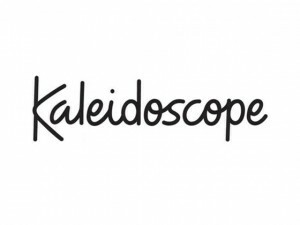 Bluebella can create exclusive discount for social channels with a name in the code indicating uniqueness of the code to the blog or social media channel name. As a blogger and social media user you are very likely to bring good amount of traffic and conversions which could be rewarding with 8% commission from Bluebella with possible increases if successful in raising Bluebella awareness, traffic and/or conversions. Check out the blog post about bloggers and example of reviews they did about our products. The amazing amount of reach by social media and blogs is limitless and can be really awarding with our affiliate network. We know that the perfect outfit starts with the perfect underwear; when you’re confident in your underwear you’re confident in your clothes. That’s why, here at Kaleidoscope, our lingerie range holds something for every shape, size and occasion! We just love this Lepel Victoria Balconette Bra! With excellent support and comfortable fit this beautiful bra is not to be missed. The floral print gives you an undeniable elegance while the vibrant colours make this a summer must have! Fancy something a little more subtle? This gorgeous Fantasie Alicia Underwired Bra in warm pastel hues focuses on natural beauty, enhancing your figure in a graceful manner. The beautiful lace with floral embroidery really makes this bra the perfect choice for class and style. All these stunning items and other lovely lingerie, plus nightwear and accessories too are in the lingerie range. 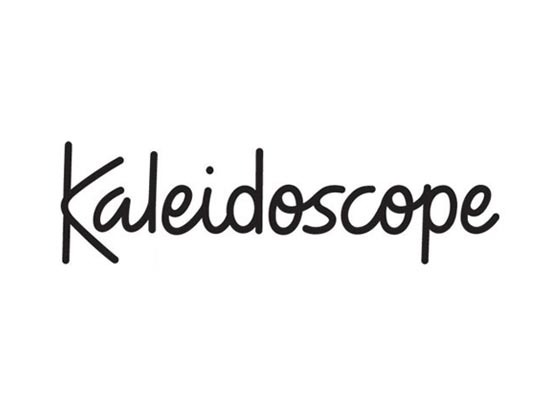 Not yet a part of the Kaleidoscope affiliate programme? You’re missing out on up to 10% commission rates! Plus, we’ve got some fantastic joining incentives! Up to 60% off in the M&S Sale - Further Reductions. I hope that you are having a good week so far. M&S – The Sale – Up to 60% off with further reductions on selected items. Promotion: Up to 60% off with further reductions on selected items. End date: Whilst stocks last.  Up to 60% off with further reductions on selected items  From 5:30am Wednesday 20th May  Applies online at marksandspencer.com, on mobile. Sale in selected UK M&S stores from Wednesday  Whilst stocks last  Cannot be used in conjunction with any other offer  Discount does not apply to delivery charges. Please check the relevant delivery terms and conditions online.  Any refunds will take into account this discount.  Higher prices have applied online between 8th April and 6th May on all items online and in store, except for the following: 20% off Cyber Day on 20th April, 20% off Women’s Dresses & Men’s Suits 14th April, 20% off Chicco Polly High Chair 1 May – 31 May, 20% off selected Avent Lines 1st – 31st May.  Please note: sale items have limited availability and are very popular. We cannot guarantee availability of sale items, and will submit a refund to your account if the item is no longer available. This will be communicated via email to the account holder. Promotion: £10 Selected Limited Collection Bra and Knicker Set. £10 Selected Limited Collection Bra and Knicker Set Offer available online at marksandspencer.com and on mobile. Valid from 15th May 2015 –20th June 2015 Not to be used in conjunction with any other offer Subject to availability Discount does not apply to delivery charges. Please check the relevant delivery terms and conditions online. Eligible products must have the same delivery address for promotion to apply. Any refunds will take into account this discount. Any monetary codes will be applied before any promotional discounts. Please replace !!!id!!! with your Publisher ID. If you have any questions please do not hesitate to task. Triumph Mid Season Sale with up to 30% OFF on selected items! Now at The official Triumph Online Shop!